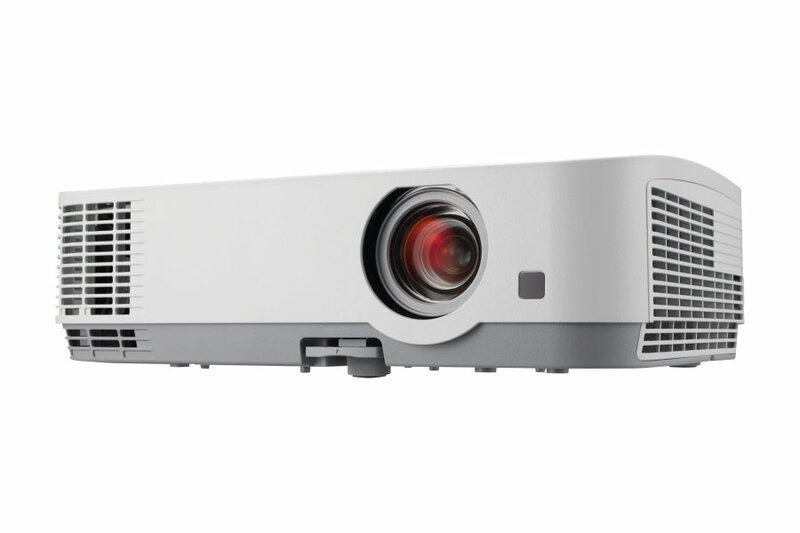 Guaranteeing the perfect support for successful lectures and presentations, the compact multi-purpose ME301W projector delivers crisp images and natural colours to your classroom and meeting facility thanks to LCD technology and 3000 ANSI lumen brightness. Comprehensive connectivity and optional WiFi provide the utmost flexibility and time saving operation. 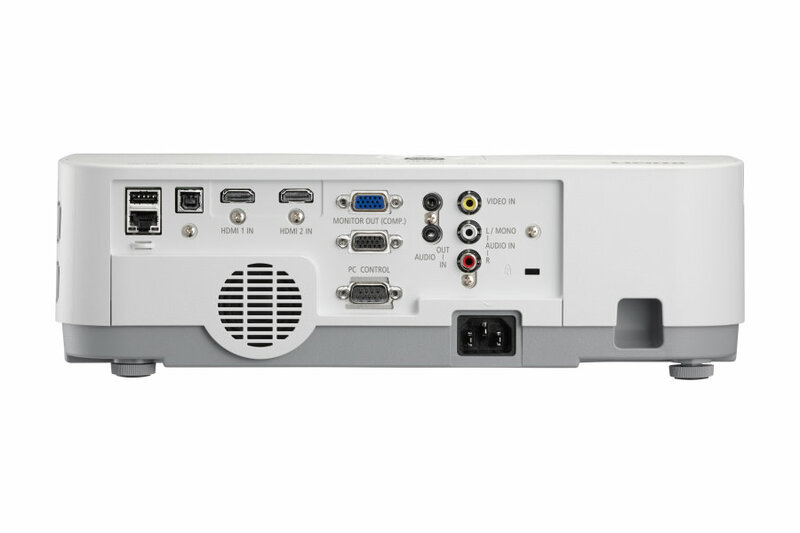 The pre-installed MultiPresenter function enables simultaneous wireless presenting and sharing for up to 16 devices when the optional WiFi is chosen. Extended lamp and filter life are lowering both maintenance time and cost ensuring a smooth operation over 5 years. 6 seconds after turning on the power, the ME301w projector is ready to display PC or video images. 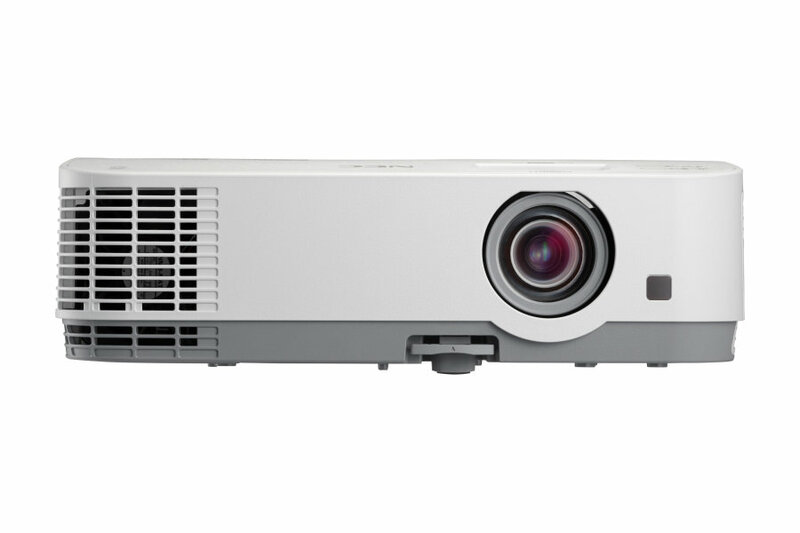 The projector can be put away immediately after the projector is powered down. No cool down period is required after the projector is turned off from the remote control or cabinet control panel. 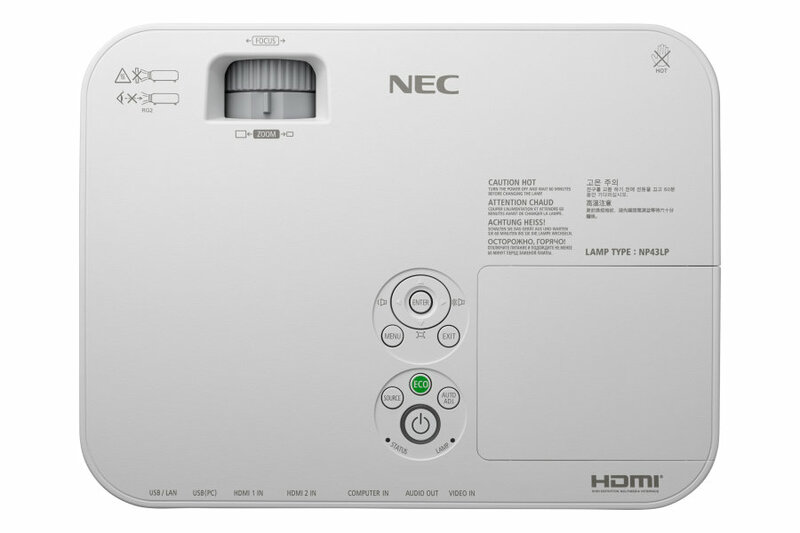 This feature allows the NEC projector to be turned off (even when projecting an image) by using the Main Power Switch or disconnecting the AC power supply. To turn off the AC power supply when the projector is powered on, use a power strip equipped with a switch and a breaker. Using in Eco Mode (ECO) allows you to prolong the Me301w projector’s lamp life up to 9000 hours (up to 4000 hours in ECO MODE OFF). 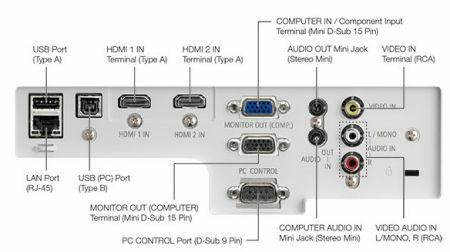 The two HDMI inputs provide HDCP compatible digital signals. The HDMI input also supports audio signal. An RJ-45 terminal is standard. An optional USB Wireless LAN Unit is required for wireless LAN connection. It enables easily to connect your projector to computers or smartphones, on which the application software, Mul- tiPresenter, has been installed, by inputting PIN code. Powerful 20 watt monaural speaker provides volume need for large rooms. Multiple projectors can be operated separately and independently with the same single remote control by assigning an ID number to each projector. 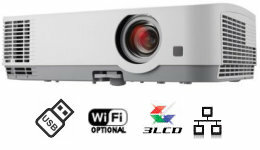 Using a commercially available USB cable (compatible with USB 2.0 specifications) to connect the computer with the projector allows you to send your computer screen image to the projector without the need of a traditional computer cable (VGA). Lamps can blow, if you need your projector working and can't afford down time, you may need to keep a spare lamp. The replacement projector lamp for the NEC ME301w is the NP43LP.